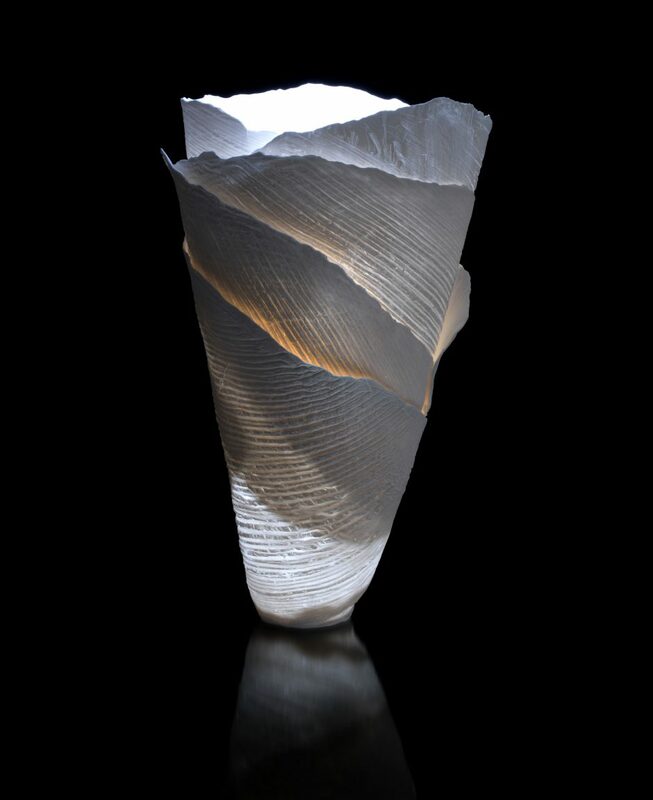 Angela Mellor was born in Cheshire, UK and developed her work alongside her teaching over twenty years. 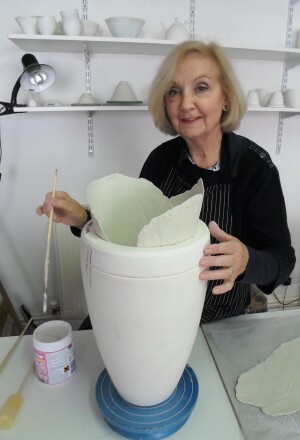 She moved to Perth, Western Australia in 1994 and set up a studio to work full time on her ceramics. 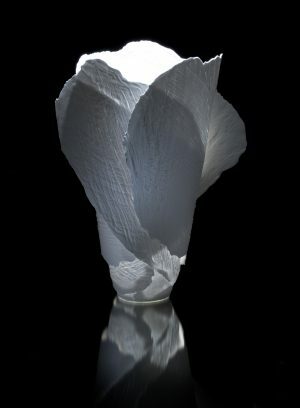 Research programmes in Tasmania and Melbourne led to an exploration of organic forms and ceramic translucency. In 2006 Angela returned to her homeland in the UK and set up a studio and gallery in Ely, Cambridgeshire. She is a member of the Craftsmen Potters Association. Her work has been included in international publications and represented in public and private collections internationally. She has received Honourable Mentions in International Ceramic Competitions in Japan and Korea. 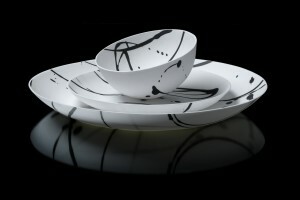 She has exhibited at SOFA, Chicago and COLLECT at the V&A and selected galleries internationally. 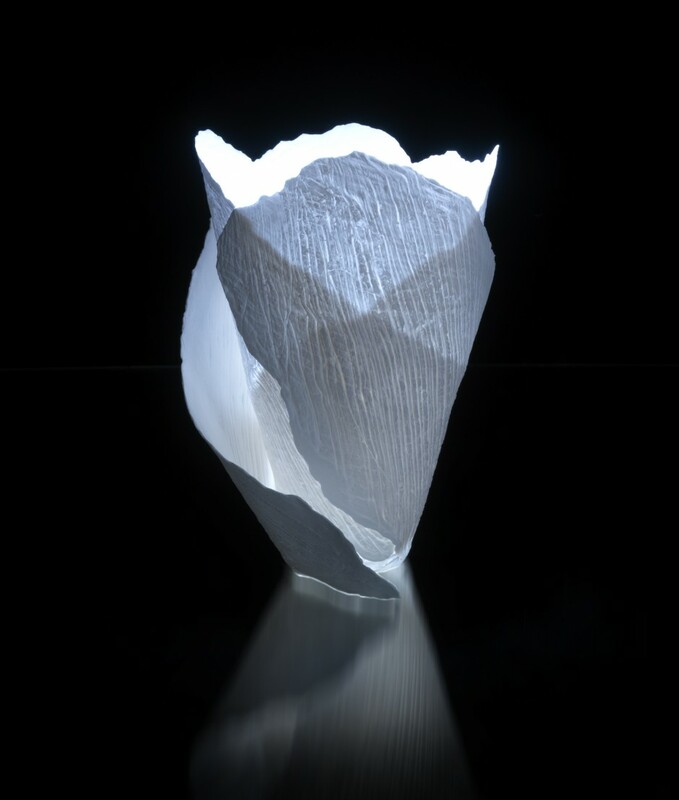 Angela’s work investigates the translucency of bone china and its potential for the transmission of light. She is deeply interested in the environment. Landscape, light and coastal environments are reflected in her work. Textures of organic forms have been recreated from plaster moulds using bone china paperslip. 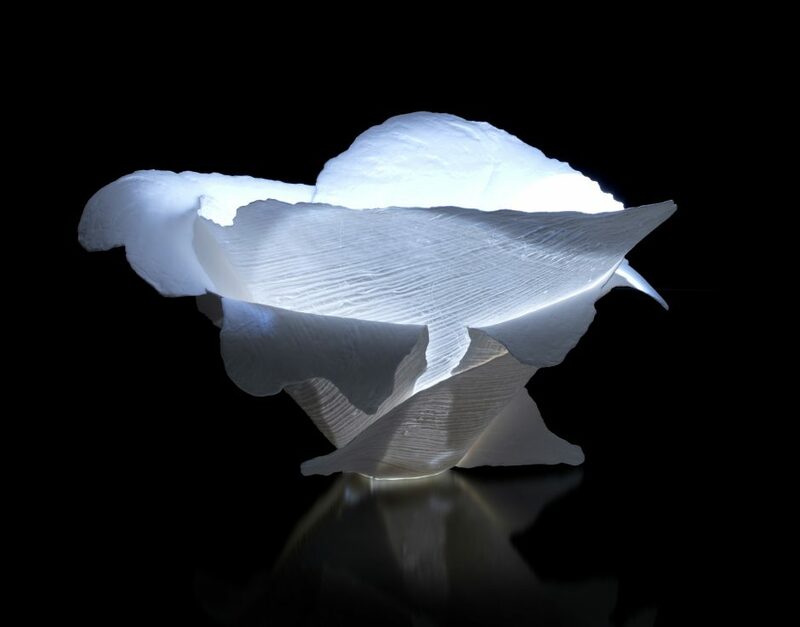 Fragments of these have enabled her to introduce a delicate tracery of translucent texture into the work reminiscent of organic forms found in nature.